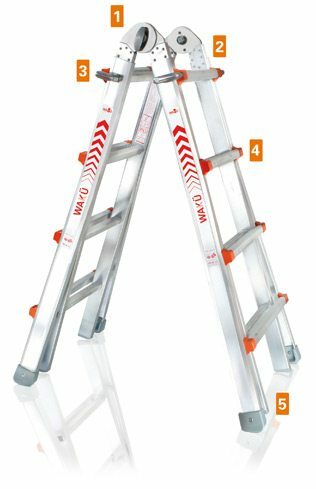 Step Ladder: 3-5 Rungs / 1.34m Max. 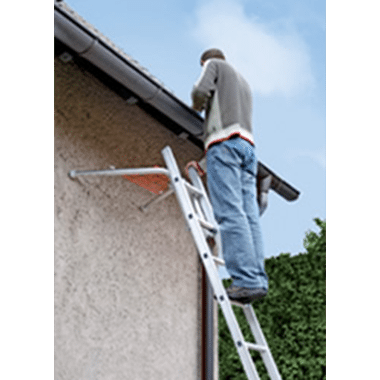 Extension Ladder: 6-10 Rungs / 3.10m Max. 1. Maintenance-Free WAKU Quality: rugged stainless steel pins reliably and visibly lock the sturdy, corrosion-proof aluminium hinges. 2. 8 special rivets through the stringers ensures an extremely rigid joint with the hinge. 3. 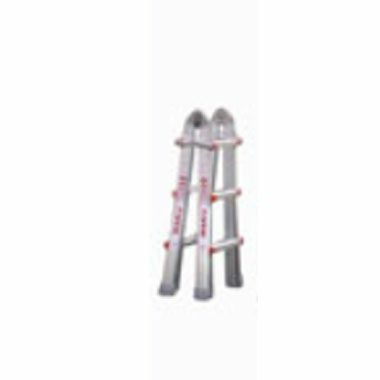 Solid, ergonomically shaped aluminium height adjusters guarantee easy and absolutely safe locking of the required ladder height. 4. Four-folded rung ends remain positively joined to inner stringers even in heavy duty use. 5. 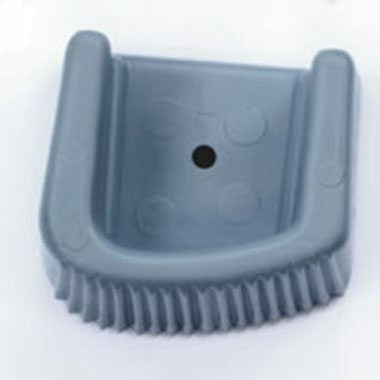 Maximum non-slip effect while also protecting the flooring: large corrugated hard rubber foot pads are riveted to the outer ladder stringers. All models can be used as an Off-Set Step Ladder for use on stairs or gradients. Please Note there is a range of WAKÜ Accessories and WAKÜ spares available. Pricing and Availability please call and quote the Order Code. 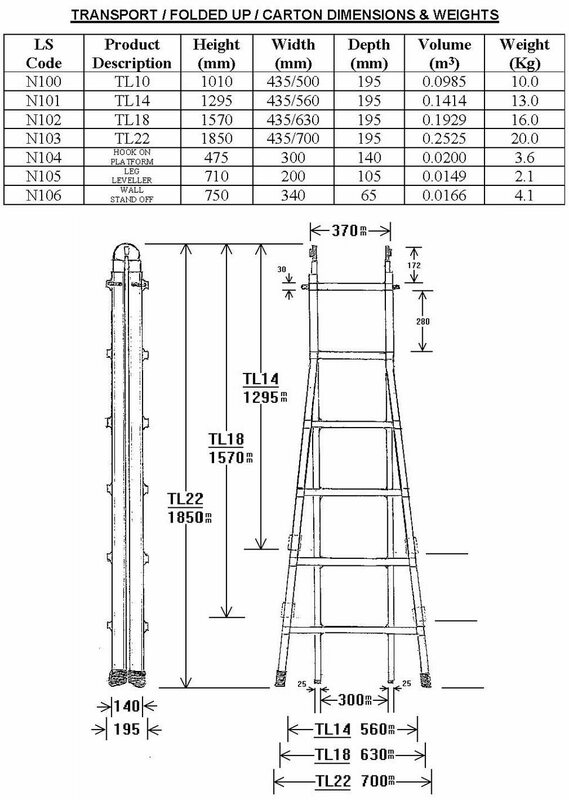 3-5 Rungs / 1.34m Max. 6-10 Rungs / 3.10m Max.